Most men have been shaving since adolescence, and therefore, have had tons of practice in front of the mirror! However, in spite of this nearly daily practice, most of those men have also had uncomfortable outcomes from shaving – like razor burn or razor bumps – on more than one occasion. Here are ten tips (pre-shave, during shave, and post-shave) for getting a close, comfortable shave. 1. Before you begin shaving, you should clean your face well, using a mild soap and warm water. The warm water will soften your beard a bit before you begin shaving. If you tend to have sensitive skin that irritates easily after shaving or if you are prone to razor burn, you might also consider using preshave oil. 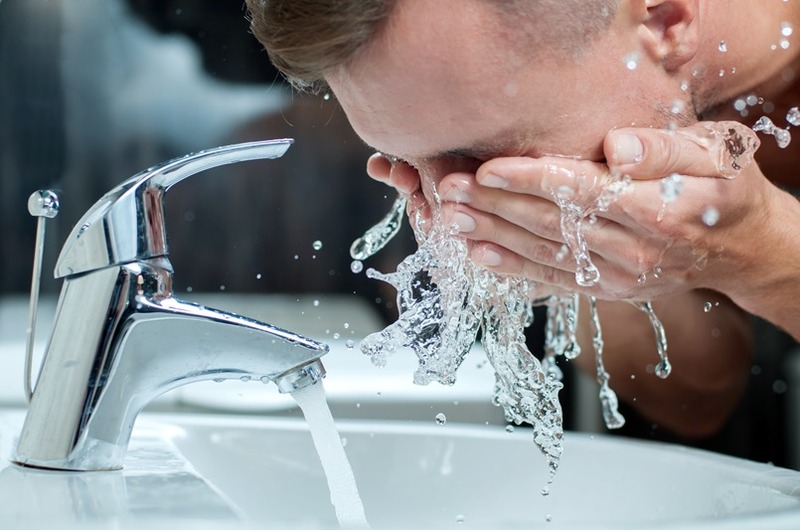 Like warm water, preshave oil aids in softening the hair more than just shaving cream alone, and it gives your skin an extra, thin layer of protection before you apply shaving cream to it. 2. Speaking of shaving cream, lather up completely! Use a shaving cream that has essential oils, aloe, and glycerine, as these ingredients help to soothe the skin and moisturize it. After you have cleaned your face, apply a layer of shaving cream and let it sit for three minutes or so. Do allow enough time for the shaving cream to do its job – softening your beard for the upcoming shave. 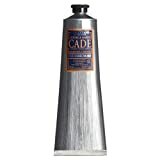 L'Occitane Cade Shaving Cream Enriched with Essential Oils and Shea Butter, 5.2 fl. oz. 3. To really work up a lather, some men prefer to use a shaving brush rather than just applying shaving cream with their hands. A brush works the shaving cream into a rich lather, which, when worked into your beard, makes it easier to shave. A brush also serves to lightly exfoliate your skin, which preps the skin for a smoother shave. In addition, if you circle the brush around as you apply shaving cream, and you finish using an upward stroke, that motion lifts the hair away from the face, allowing you to get a bit of a closer shave. 4. One of the most critical things that contributes to a close shave and prevents razor burn and bumps is the razor that you use. You should always use a high-quality razor. 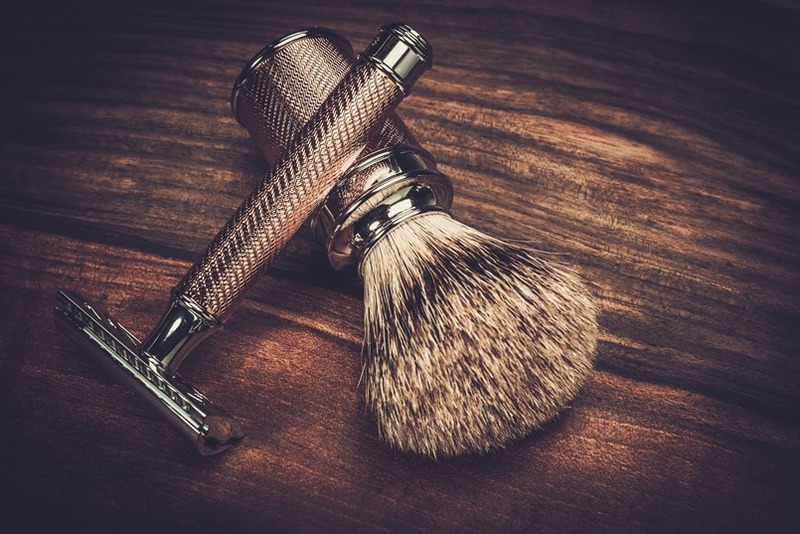 Whether you select a single blade razor or a double blade razor, a disposable one or a removable-blade one, use the highest-quality razor that your budget will allow. Look for a razor that has precision, sharp blades and is easy to hold and maneuver. Most razors have an ergonomic design, so they are easy to handle, they are comfortable, and they feel secure in your hand. 5. Use good shaving techniques. For example, although it might be a little counter-intuitive, you should shave WITH the direction of the hair growth, not against it. If you shave against the growth, you might get a bit of a closer shave, but you are more likely to cut yourself or end up with razor burn or razor bumps. That unsightly inflammation is not something you want, and is easily avoided most of the time. Also, use short strokes and clean the razor of hair frequently, under warm running water. 6. Like real estate, getting a good shave is all about location, location, location! After you lather up and wait for a few minutes, begin by shaving the hairs that are closest up toward your ears. Those hairs tend to be a little less coarse than hair on other parts of your face. The hairs on your chin and your upper lip should wait until very last; they are the coarsest, so saving them for last allows the shaving cream to work on them a little longer, softening them up for shaving. 7. Take your time – there’s no hurry! Shaving, particularly manually with a non-electric razor, is not something that can be rushed. Otherwise, you may end up with razor burn, or head out of your house with little pieces of Charmin covering the nicks on your face! Certainly, you can get a quicker shave with an electric razor than you can with a manual, disposable razor. In fact, there are several electric razors/trimmers that have a “turbo” setting, so that you can shave at an accelerated pace. However, a close, neat, and safe shave is always best accomplished when you are not rushed and you can take your time to do it carefully. Read our guide on the best beard trimmer. 8. Typically, men shave with really warm water, as that helps to soften the beard before and during shaving. However, to finish off your shave, be sure to rinse your face with cool (not cold!) water. After the heat of the warm water, the cool water helps to close your pores and protect your skin. Pat your face dry with a fresh towel. Don’t rub your face with the towel, as that can cause skin irritation and redness. Just pat your face gently. 9. After your face has dried, give it a few minutes to rest and recover. Then, apply a facial moisturizer or aftershave balm. Moisturizer can freshen and nourish the skin – after all, you have just exfoliated and shaved off dead skin cells and exposed the new skin to the air, so your skin needs a little TLC. Moisturizer often has cooling ingredients, so it soothes your skin after shaving. You have a couple of choices in what to use after shaving. A thin aftershave splash typically has antibacterial properties, so it helps to protect your face as well as give off a nice smell. The newest line of aftershave products are balms, which are a thicker lotion that can be used to moisturize and sooth your skin. 10. Be gentle and kind to your skin. Most men don’t absolutely need to shave every day, and giving your face a day or two of rest between shaves gives your skin time to recover. If you do shave daily or every other day, be sure to use high-quality shaving products to help treat your face well. Shaving is a necessary evil for most men, but doesn’t have to be a terrible, mundane chore. Taking good care of one’s skin before, during, and after a shave can help make it a very positive grooming experience. You might consider treating yourself from time to time, and visit a local barber to get a professional shave. Don’t try to wield a straight razor on your own, but turning your face over to an experienced barber for a shave with a straight razor is a great “guy treat”.